The miracles have been continuing. Remember that blessing we gave last week, my first one in Portuguese? We found out that for the first time in forever the woman is now able to converse, and even walk. Miracle! 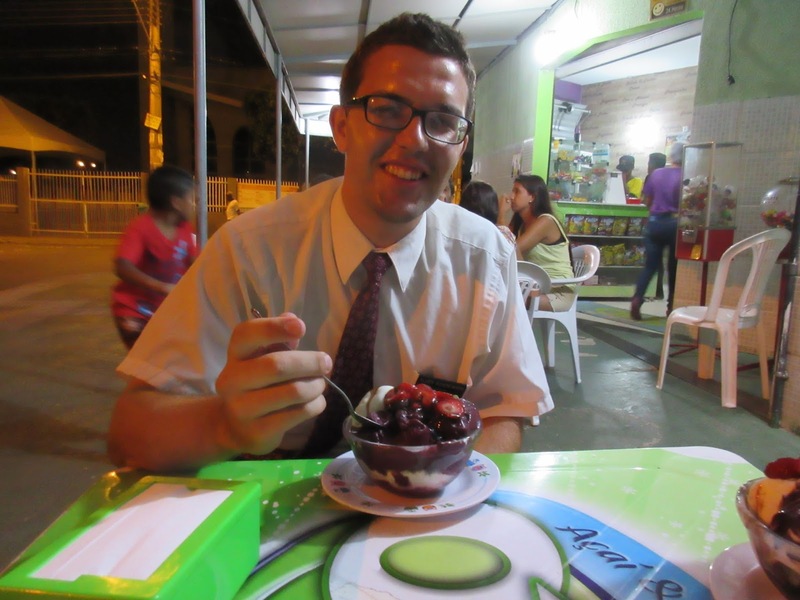 Yesterday, we received a referral from some other missionaries, they had two youth show up in their ward, but they live in our area, so I´m excited to start teaching them this week. Miracle! We met a missionary who served in Joao Pessoa with Uncle Zach! and he pulled out lots of photos; Uncle Zach, sunglasses, and peace signs flashing. Miracle! And, last p-day we had someone to visit in an area really far away, but it’s also the neighborhood with the golf course. So we decided to leave early and check it out. I had known about it since day one, but hadn’t had a great desire to see it until now. 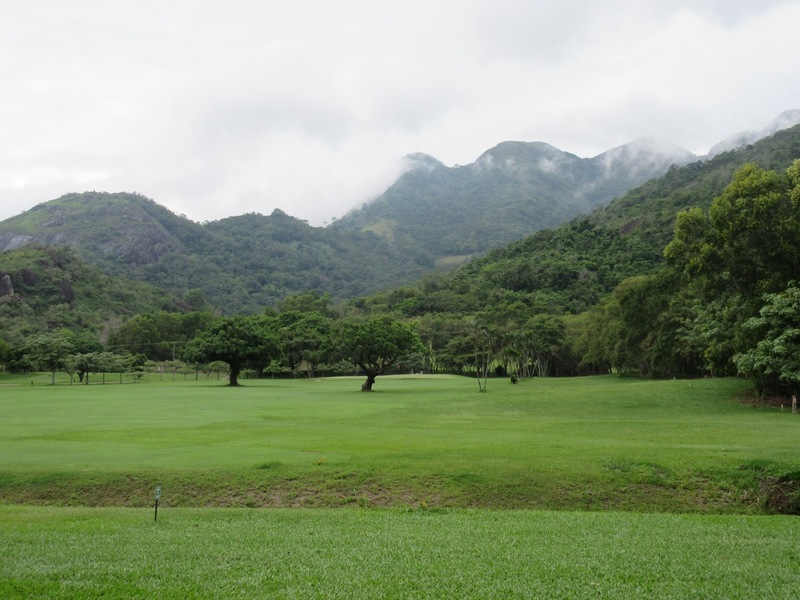 There´s only one other golf course in the entire state, so it was cool getting assigned to this area. We are close by but not really sure how to get there, and we asked one person. And it turns out after talking with him, this person is married to an inactive member, and was taught all the lessons, but on his baptismal day, after changing into the baptismal clothes, literally fled. He continued attending church, for a year, but was never baptized. So we’ve been able to teach them and some of their kids this week. And we were asked by the mother specifically to help the oldest son who is 23. So when we met him, just trying to get to know him, I asked an inspired question, “Do you like to play soccer? Gustavo said, “No, but I like golf.”` And he invited us to play with him the next p-day, (today!!!) So we went and played a wonderful nine holes, and it was honestly one of the coolest rounds of golf ever. Gustavo has worked as a caddie for eight years. Now, the course has golf carts so he doesn’t do much there, but he´s still on the list of caddies, so every Monday morning he can play for free….and bring one guest! So this morning (early, early) Elder Costa and I went with three Brazilian caddies and played. We all used the same golf bag, just some old clubs the course has, and played nine holes. Golf- fantastic. Scenery-fantastic. Culinary tastings-can´t be beaten. It’s more of a garden of Eden than an orchard. While walking, we intermittently stopped to eat fruits: -pitanga -manga (two types) -araca -pinha -laranjinha. The laranjinha is a little orange, about the size of a cherry, and you eat it all, even the peel, which tastes really sweet. 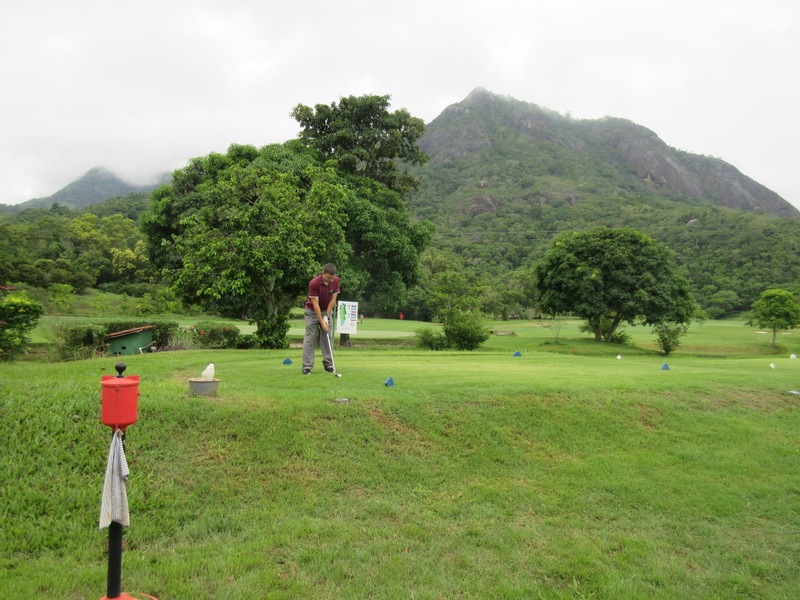 And while we were watching some monkeys fight in the trees, as the golf course borders a nature preserve, our host holed out from 70 yards, for a birdie. 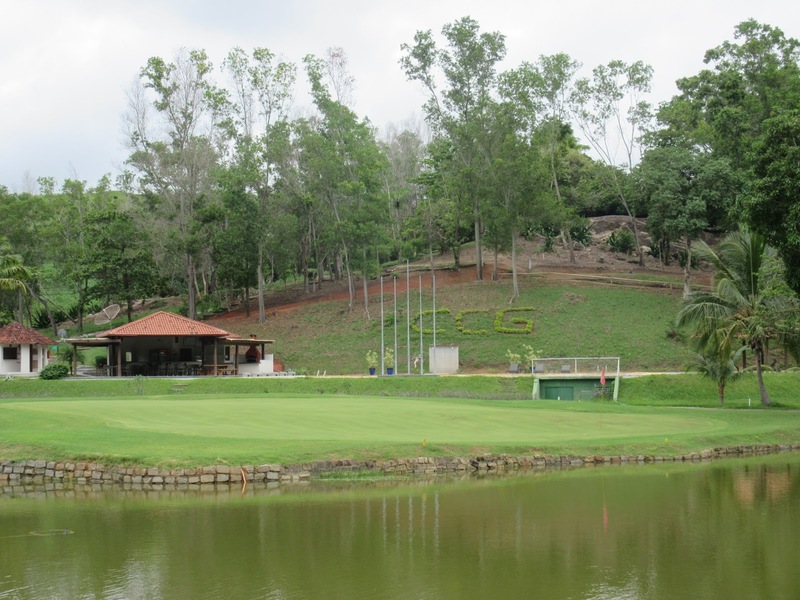 The Brazilians don´t know any English, but most golf terms are in English which is interesting. Can I have the “sanchie” (sand wedge)? They use yards in golf here too, not meters like the rest of the country. So perfect p-day. In other news, we will officially be starting an English class this Wednesday. I´m honestly excited, but nervous, as it’s going to be tough. But I do feel confident now in being able to handle a class of Portuguese speakers. 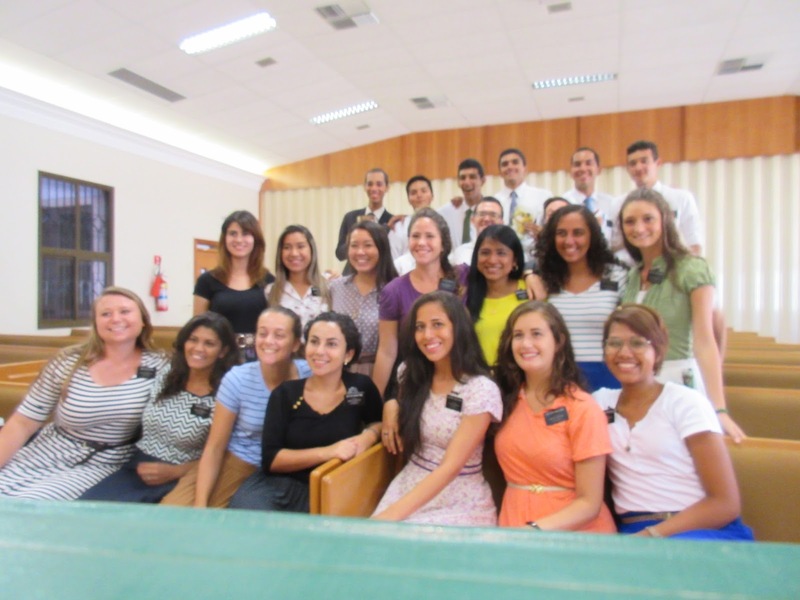 Mostly, but it helps that Elder Costa will be able to help a lot. And, we´re losing a lot of members in our ward. Our bishop’s leaving this week to pursue a job opportunity in another state, one family is going to Italy. He said it’s ironic that his great grandfather left Italy after World War 1, and now he´s returning. And there are a couple of families looking to move to the US in the next year. They´ll be missed here. Because it’s not as hot here, the mangoes have only started falling the last week and this week, and will continue for a while. So I´m back up to my quart of mango juice per day. Holy cow. I´m drinking enough for everyone back there too. At the store, they technically cost six cents per pound, but I think every person who doesn’t live in an apartment has a tree, and members are constantly feeding us mangoes, and giving us some to take home. And jaca. too. We even ate homemade jaca ice cream this past week, which was surprisingly delicious. We had a worldwide devotional for all the missionaries this past Wednesday which was fantastic. Elder Anderson, Bednar, and Oaks all spoke. I don´t know if it’s open to the public yet, but if it is, I highly recommend watching it. And it was awesome, with over 400 missions in the world, only one was mentioned by name….Vitoria! Apparently Elder Scott visited here three times, and Elder Andersen accompanied one visit, that he spoke about. But, as a mission, we all gathered with our respective zones, so we were in the actual city of Vitoria as they talked about it. So, have the Spirit, listen to the Spirit, and watch miracles happen!! P.S. My glasses are bad. The front gloss is rubbing off for some reason. I meant to take a picture but forgot. Right now, I’´m using my old glasses and am seeing fine. But if you could check on a warranty or something, I´d appreciate it!. If there is a warranty, I’d much rather get contacts here or something than more glasses if possible. P.P.S. 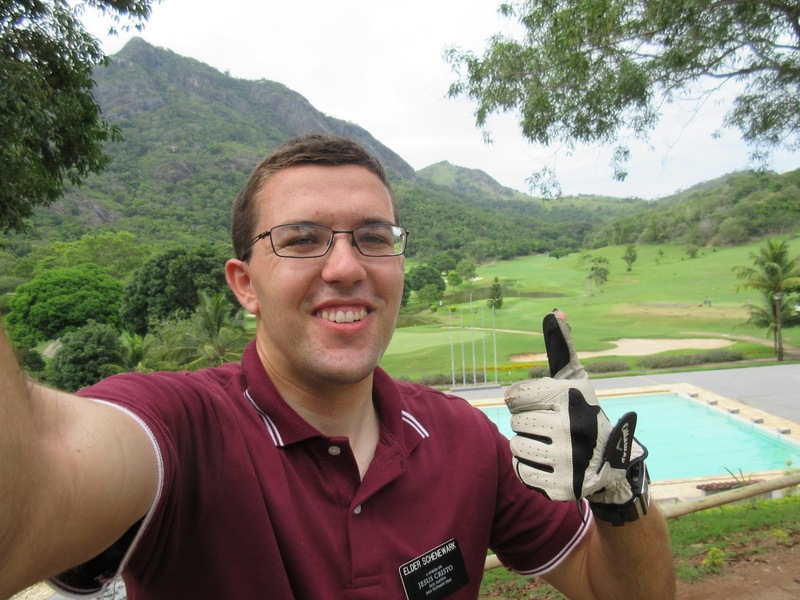 And, I´m definitely the only missionary here, American or Brasilian w/o a credit card! What was I thinking! I don´t need money right now, totally fine, but could we think of some way, in which I could eventually get a little? 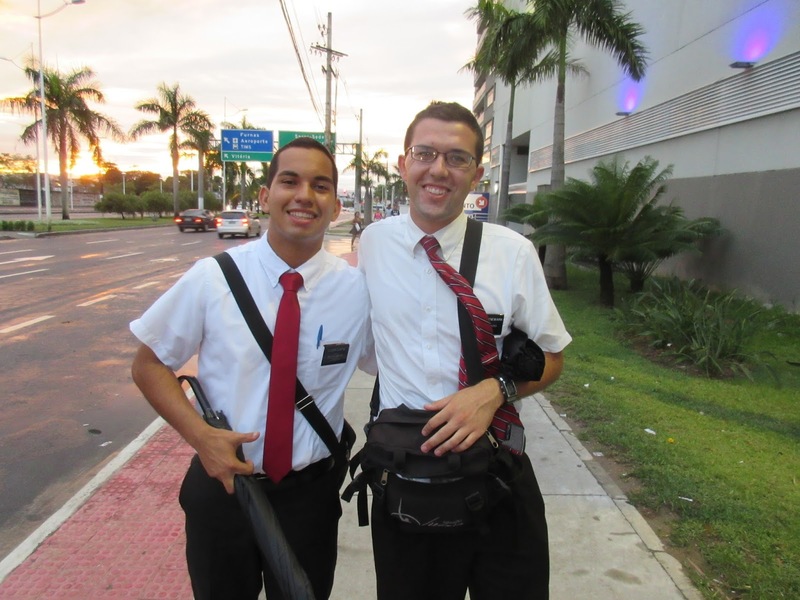 Elder Costa and I have definitely seen the Lord´s hand in our lives this week. Some special experiences: We received a referral and went with the member to give a member of the family a blessing. There, we met the family, mom, stepdad, 15 y.o. twins, a 10 y.o., and a 6 y.o., just a nice family. And we learned that one of the twins was just diagnosed with cancer in her leg. If it isn’t healed by the radiation and chemo, which usually it isn’t, they will be cutting off her leg. 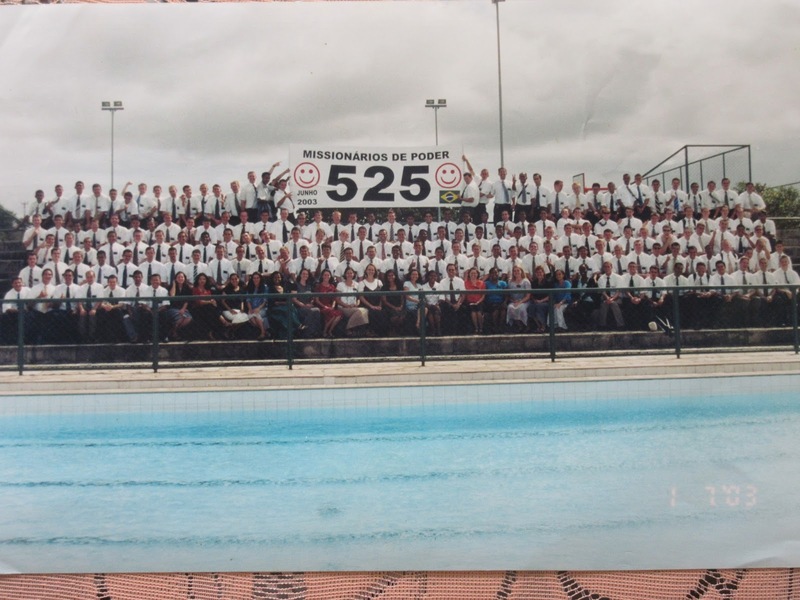 So when we went there, you could tell how hard this had been for the family (and the stepfather has been unable to find work), and the atmosphere was truly humble. The Spirit was strong as we left a blessing, and we’ve taught the family a couple times since. It’s hard for them right now, as the daughter can´t leave the house with her weakened immune system, and they will be leaving to stay in the hospital for awhile, so I don´t know what we´ll be able to do for them, but it was special, and I knew we are acting as representatives of Jesus Christ. On Thursday, we went with a member to visit a less-active who hadn’t been to church since her records were transferred here, so no one knows her. We went, and it turns out that she is bed ridden and has been for a couple years. She moved here so her daughters can take care of her. We gave her a blessing as well, I actually did in Portuguese for the first time, instead of just anointing, and I´ll honestly never forget it, as I felt prompted and knew the exact words to speak. She won´t be able to come to church, but we arranged to have some members visit here again. Sunday morning, we visited another referral, and taught two kids and their mother. The daughter is 9 or 10 and has come to church now for a couple weeks and loves it, and the mom wanted to learn more. And she loves it as well. They both want to be baptized, and were truly an answer to our prayers. The mom drinks coffee and smokes a lot. We taught the word of wisdom after church, and the Spirit again was so strong. I really liked what Elder Costa said. He related how quitting will be hard (we challenged her to quit immediately) but asked her to remember the Savior´s sacrifice for us, and how nothing we do can do will ever repay him for that gift of the Atonement. But he asks that we keep the commandments. She said she wants to quit, and we´re excited to keep working with the family this week. On Saturday, our lunch was changed from noon to 1. 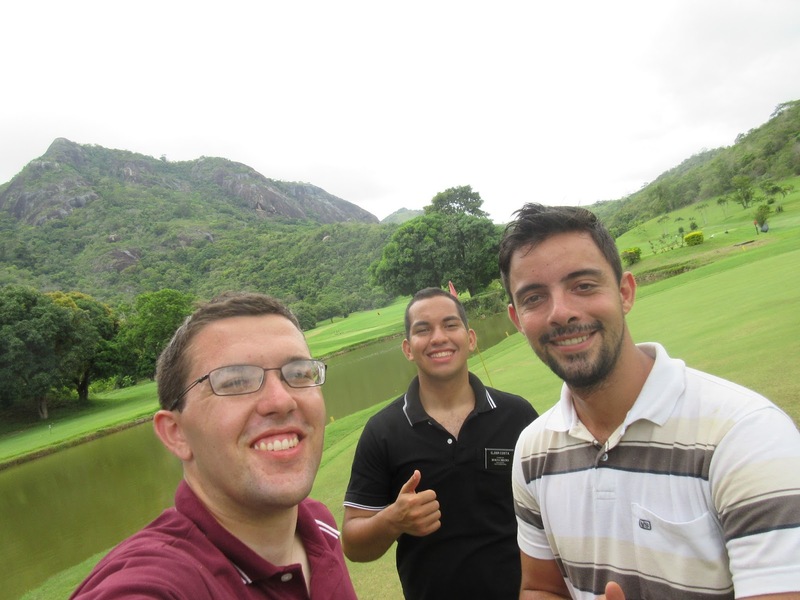 We were working when the member called, and because we had some time we hadn´t planned for, we decided to visit a recent convert of a year, Murilo, who is 19 y.o. We went and when he saw us, he was elated. He told us how he had prayed on Thursday that the missionaries or someone from the church would come visit him before Sunday. And here we were. How many times has lunch for us been pushed back? I can´t recall one time. But that day, we needed to visit him. He has been having a rough time, and his parents aren’t interested in church, but we were able to help him, and it strengthened my testimony as well, that God knows us and loves us. And he works through his servants. Wednesday, there will be a worldwide broadcast for all missionaries, which we are excited for. Dad mentioned the recession, and I am 99% certain it’s not the worst since 1901, but it is bad. Inflation was over 10% last year, and right now I think it’s about 15%. 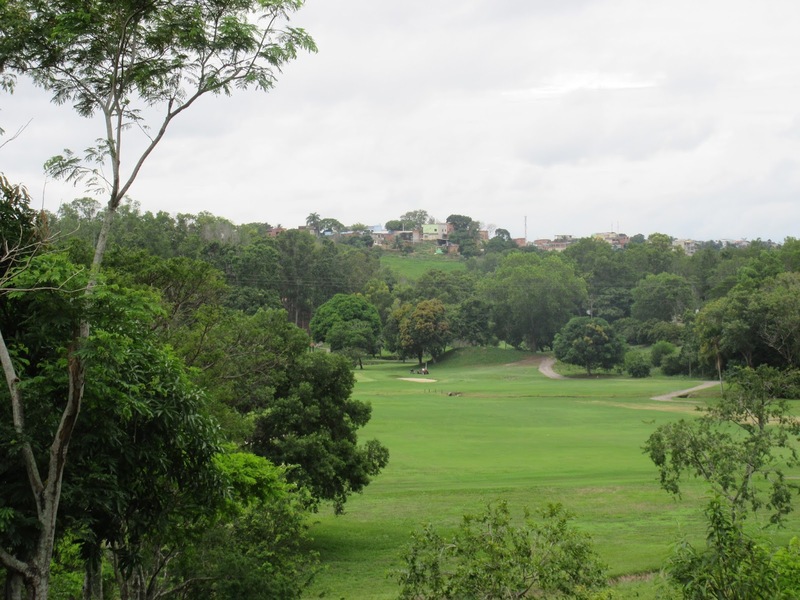 And Serra is fairly affluent (compared to Cacheiro or Vitoria) and there are some members here who are struggling. They have really good jobs with the oil/gas industry (some work offshore) but that whole industry is struggling right now, and some of them won´t receive pay for two months. And for us, last week, the cost of the bus went us from 2.45 to 2.75 a ride, so that hurts. I haven´t heard much about the Olympics. People here generally watch the games, but at least here, there´s not much excitement. They paint the streets every four years with soccer pictures/murals, whether the games are being held in Russia or like last time in Brasil, but I haven´t seen anything like that here. Well, another week, and not much to report on the baptism front. The font´s been dry here. We´re working hard. We´re praying fervently. And maybe this is our test. I don´t know. But we´ll keep moving forward. We´ve decided to switch neighborhoods we´ve been working in, and go to some much farther away. But other than that, there´s not much to change. I think we´re working great together, and I feel the Spirit when we teach; but the people have to make the choice for themselves. Once this week, we went to an appointment, and spoke with one of the little kids to ask if the mom was there. The child says, “Yes,” then comes running back and says, “Mommy says to tell you she is sleeping.” That made us smile. The laugh of the week goes to Elder Costa hands down. He´s been a great companion, and he loves to sing. And he sings good, so I like it too. During lunch at a member´s house, he left to go to the bathroom. Sitting at the table, I hear, “High on a mountaintop, a banner is unfurled, ye nations now look up (flush) it waves to all the world!” I almost died. He knows lots of hymns in English, and finished the Book of Mormon in English today. He started in July, and testifies to everybody trying to learn English, how much it’s helped him. On Wednesday, we were a little disappointed, and we decided to eat some Acai. And holy cow, that is so good. Amazingly good. I’ve wanted more every day since. I went on a division with the Zone Leaders on Saturday in Vitoria. One of them, Elder McDown is from Flower Mound, Texas which I think is only like thirty minutes away from ya’ll but I can´t remember. I received mail again this week, and Aunt Jenny asked what I do for exercise, which I´ll respond to. Mostly just body weight exercises, but I have a big rubber exercise band that helps a lot as well. Some mornings, I do a set of sit-ups, read a little in the Liahona, then more sit-ups repeating until 7:00 a.m. But usually there´s more exercise and more variety. No running. Yesterday in Gospel Principles class, we read a quote which I love, and this is only a translation: God chose a time and a place for your birth, where you would be able to learn the specific lessons that you need to do the best possible work with your talents and personality. Just another reminder that God knows us personally, and that we are on earth to succeed in all things. Posted on January 12, 2016 Author Tanner SchenewarkCategories UncategorizedLeave a comment on Working Hard. Praying Fervently. Hello 2016! On Thursday, mail came, and that was a fantastic present. The zone leaders delivered it to our Thursday district meeting, and when we walked in, everybody said, “You are definitely loved Elder Schenewark! You have three packages!” I also had a lot of letters, including some mailed from November. I had no idea who sent the third package, and it was the Pace´s! That was a nice surprise. They individually wrapped 12 presents for the 12 days of Christmas, and I’ve been pretty patient, trying to follow it, only one a day. (I did cheat with the gingersnaps, sometimes you just need some right then.) And I received your box, and the Bach´s box, and I am basking in luxury. Cedar in my shoes, peanut butter in my belly. So yeah, no baptism. We spent a lot of time working with the person this week, but everybody has agency. The problem is, we can´t figure out the problem. He comes to church every week, likes it, is keeping the commandments, but doesn´t want to move forward. 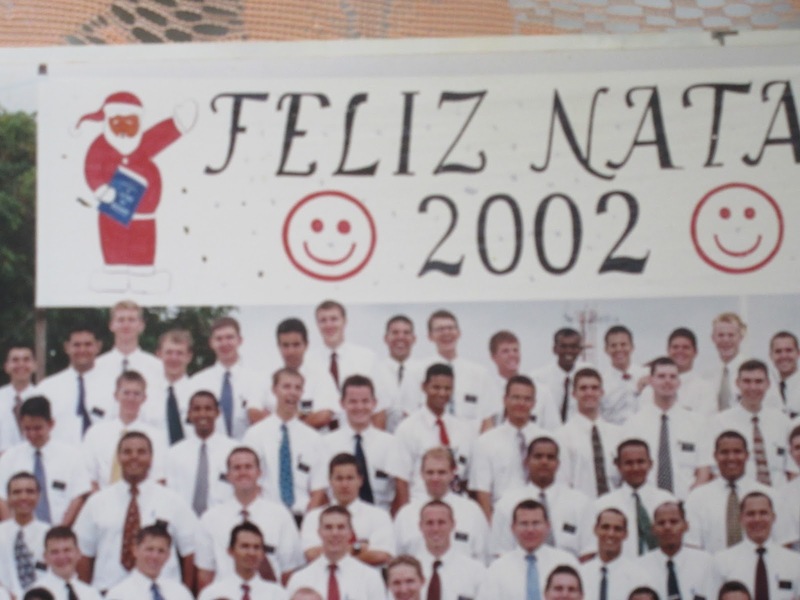 On Thursday, when we went to drop off the packages at our apt, the other set of missionaries accidentally took our keys and we were locked in for twenty minutes until they came back. Sort of funny, but it illustrates how many bars we have around our house. We literally couldn´t climb over or out anything to leave. And as that day was New Year´s eve, we had to return at 7 pm. So I tried making pizza, which didn´t quite work, as I killed the yeast. I decided to throw the dough away as it was nasty, but because trash isn’t collected for a couple days, we keep the trash in our house. And two days later it starts to rain, and we come home at night, and the entire house smells awful. Just reeks. We had no idea, but it turns out its the bread dough. I don´t know if its because of the age or the rain, but I never want to find out. It might be the worst smell I’ve smelled in my life. I think my favorite moment this week happened on Friday. We felt inspired to go visit a member, 70+ years, active, and lives with her daughter and family. All members. Not someone you normally think about as a missionary. But it turns out was having some problems and wanted a blessing of health. So we were able to do that, and the two other blessings I’ve given in Brasil were in English, but this time I did it in Portuguese, and words that I’ve only read before I remembered and everything was really clear. Other news this week, we´ve taken so many buses. Usually only two a day, but these last couple days we´ve been taking four or more. And yesterday, our church started at 2:30 as we switched times with another ward, so we went to a members house before for lunch. And it was in the most obscure part of the city. So we waited almost 2 hours for a bus. (because on sundays not many buses run, the other days are easy) and then after, had to wait again, as the bus we found out was having problems. So we finally get picked up, make it about a mile, and the bus is jerking back and forth like a see-saw or a washing machine, and then just stopped. So we all got out, and had to wait for the next bus. Which was a while. We had planned to visit other people before church, but instead were 40 minutes late. Crazy times. So, believe. I know that Christ died for us, and he lives today. And if we follow him, we will live in a state of happiness which hath no end.